We don't get to say this much, but our Houndstooth Neoprene full face mask is MADE IN THE USA. I know I shouted, but this Houndstooth Neoprene half face mask is made and printed in the USA. We are just so proud. 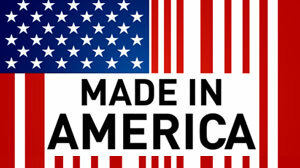 It seems like nothing is made in America anymore...and we want to put that to an end.